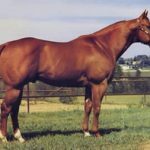 STATE VETERINARIAN’S OFFICE (VS) – Positive Diagnosis in Two Colorado Counties Tips for Livestock Owners and Veterinarians Horses on two Montrose and one Delta County premises tested positive for the disease and have been placed under quarantine. Colorado has become the fourth state in the country to have confirmed cases of vesicular stomatitis (VS) in 2015. Previous positive cases of vesicular stomatitis this year have been diagnosed in Arizona, New Mexico and Texas. A 2014 outbreak of VS created 556 livestock investigations in Colorado resulting in 370 quarantines with the final quarantines released in January 2015. Livestock owners who suspect an animal may have VS or any other vesicular disease should immediately contact their local veterinarian. Livestock with clinical signs of VS are isolated until they are determined to be of no further threat for disease spread. There are no USDA approved vaccines for VS. While rare, human cases of VS can occur, usually among those who handle infected animals. VS in humans can cause flu-like symptoms and only rarely includes lesions or blisters. New for 2015 VS Investigations: A notable change in the 2015 State response to VS has come from the US Department of Agriculture (USDA) delisting of VS as a foreign animal disease in horses; VS continues to be listed as a foreign animal disease for cattle and other livestock. This USDA procedural change will allow greater flexibility in how VS is managed in respect to equine cases. The primary change will now be that quarantines may be released as soon as 14 days after the onset of clinical signs of the last affected horse on a premises. With the delisting of VS as a foreign animal disease, Colorado veterinarians may now take a lead role in the management of the disease in equine cases. In earlier cases, CDA or USDA field vets were required to perform the disease investigations on horses; the delisting now allows local veterinarians to perform the initial investigations, collect samples, and collaborate with animal health officials regarding movement restrictions and quarantines. The Colorado State University Veterinary Diagnostic Laboratory has been approved to perform VS tests on horses in Colorado. This will provide a more timely response on test results. Strict fly control is an important factor to inhibit the transmission of the disease. Avoid transferring feeding equipment, cleaning tools or health care equipment from other herds. Colorado veterinarians and livestock owners should contact the state of destination when moving livestock interstate to ensure that all import requirements are met. A list of contact information for all state veterinarians’ offices is available at: http://www.colorado.gov/aganimals. Colorado fairs, livestock exhibitions, and rodeos may institute new entry requirements based on the extent and severity of the current VS outbreak. Certificates of Veterinary Inspection issued within 2-5 days prior to an event can beneficial to reduce risks. Be sure to stay informed of any new livestock event requirements. Any vesicular disease of livestock is reportable to the State Veterinarian’s Office in Colorado – to report call 303-869-9130. If after-hours, call the same number to obtain the phone number of the staff veterinarian on call. With the delisting of VS as a foreign animal disease, Colorado veterinarians may now take a lead role in the management of the disease in equine cases. In earlier cases, CDA or USDA field vets were required to perform the disease investigations on horses; the delisting now allows local veterinarians to perform the initial investigations, collect samples, and collaborate with animal health officials regarding movement restrictions and quarantines. In livestock other than equine VS is still considered a foreign animal disease, any case with clinical signs consistent with VS will warrant an investigation by a state or federal foreign animal disease diagnostician (FADD). 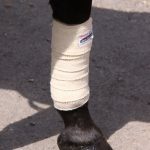 When VS is suspected in livestock other than equine the FADD will gather the epidemiological information, take the necessary blood samples, collect the necessary fluid or tissue from the lesions, and inform the owners and the referring veterinarian as to necessary bio-security and movement restrictions.